Check out my new Font Blog to stay up to see when I release new fonts! 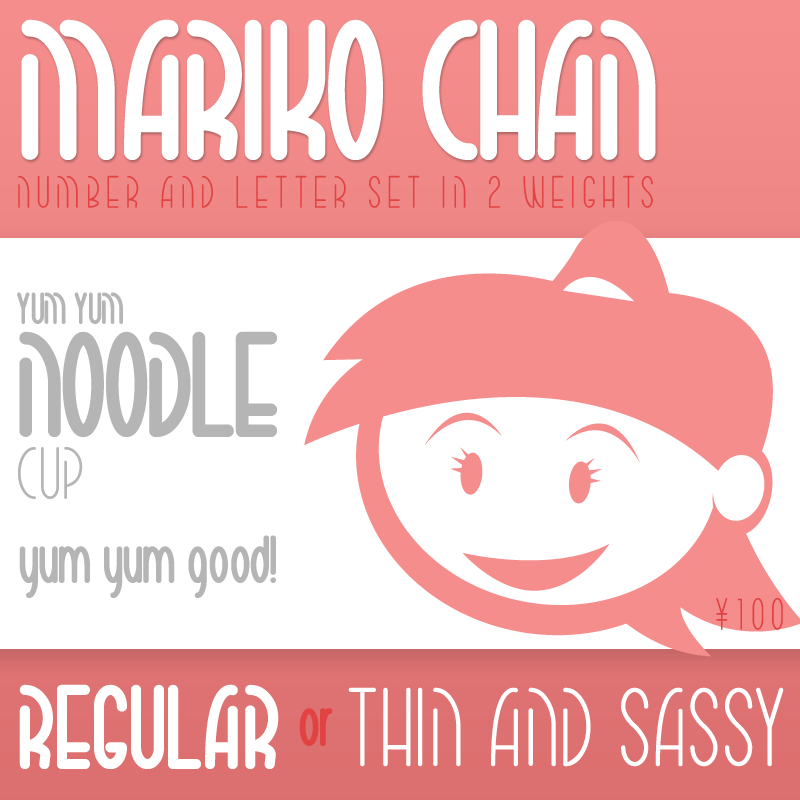 Mariko is my sister's middle name. It is also my aunt's middle name and my second cousin's first name. It's sort of a family name. It is a fairly common name in Japan. This number and letter is inspired by my family and my Japanese heritage. The Regular font is Bold and great for Titles or Heading Text, while the Thin version looks slightly hand written and compliments the regular version nicely. In combination, the sky is the limit. Enjoy! This is free to do with whatever you wish, personal or commercial. Just don't claim ownership, sell it, redistribute it, or be a jerk with it. Please DO NOT download this font and redistribute it on another website. It might be cool if you use the font to either credit MuraKnockout Media or Michael Muranaka, or show me how you used it! Enjoy!